"A conventional good read is usually a bad read, a relaxing bath in what we know already. A true good read is surely an act of innovative creation in which we, the readers, become conspirators." An exploration of the history of the next twenty years, The Transition Timeline lightens the fear of our uncertain future, providing a map of what we are facing and the different pathways available to us. It describes four possible scenarios for the UK and world over the next twenty years, ranging from Denial, in which we reap the consequences of failing to acknowledge and respond to our environmental challenges, to the Transition Vision, in which we shift our cultural assumptions to fit our circumstances and move into a more fulfilling, lower-energy world. The practical, realistic details of this Transition Vision are examined in depth, covering key areas such as food, energy, demographics, transport and healthcare, and they provide a sense of context for communities working towards a thriving future. The book also provides a detailed and accessible update on climate change and peak oil and the interactions between them, including their impacts in the UK, present and future. Use it. Choose your path, and then make that future real with your actions, individually and with your community. As Rob Hopkins outlines in the chapter he has contributed, there is a rapidly spreading movement addressing these challenges, and it needs you. For my more detailed thoughts on the book, take a look at this post, or have a listen to this radio interview recorded just ahead of its release. By buying your copy through this website you are supporting me, the author. If you buy through Amazon I receive about 40p per copy. If you buy here I earn around ten times that amount. Since seeing publishing from the inside I have resolved to buy direct from authors or publishers whenever possible! As a small thank you to you for doing the same, I will sign copies bought through this site before sending them out (if you prefer your book unsigned, just enter "unsigned" in the above field when making your order). 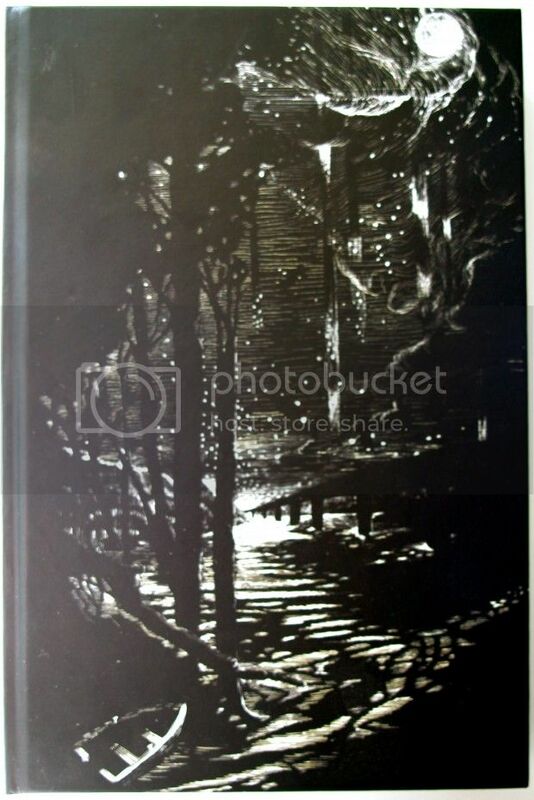 For bulk orders (unsigned) contact Green Books (UK), or Chelsea Green Publishing (US). "Peak oil and climate change are two of the greatest challenges we face today; the Transition Town movement is firmly rooted in the idea that people taking action now in their communities can not only tackle these environmental threats but also, in the process of doing so, lead more fulfilling lives. It is about hope in an otherwise bleak seeming future. Above all, it's about the power of an alternative vision for how society could be and not waiting for government or politicians to get it right. The Transition Timeline is designed to bring that vision to life – with stories of what communities have already achieved, with updates on the latest scientific data, and with ‘maps’ that highlight key landmarks on the journey towards a zero carbon future. It's a hugely valuable manual for anyone committed to turning dreams into reality. Don't just read this book – use it to change your world." "Shaun Chamberlin ties down the uncertainties about climate, energy, food, water and population, the big scene-setters of our future, with no-nonsense authority. What we get with The Transition Timeline is a map of the landscape we have to find a way through. Map-making is a risky business: sooner or later someone is going to use your map and come across a treacherous swamp that isn&apos;t marked. So you need to be alert to revisions and reports from travellers. 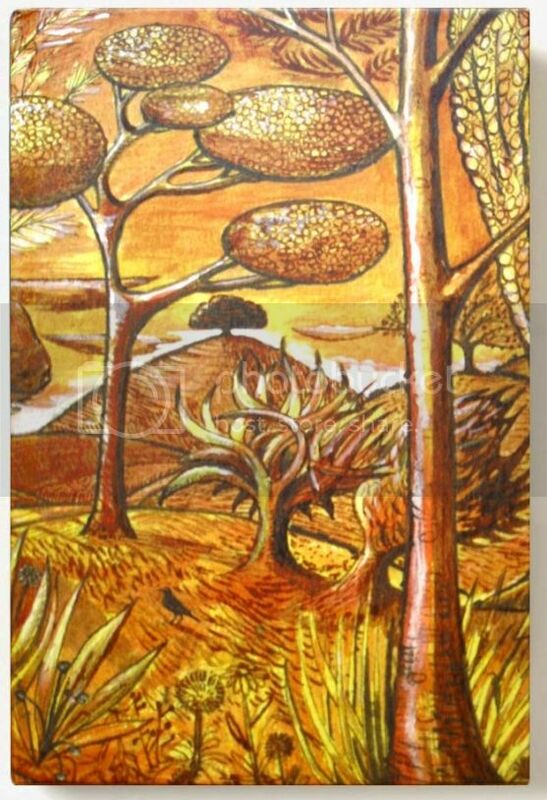 But what matters is that someone has got the key characteristics of the landscape drawn out. This is what we have to make sense of – not in the distant future, but right now. Don't set out without The Transition Timeline. Take a biro. Scribble updates, comments, expressions of shock and horror, notes to cheer yourself up. By the time your copy has been rained on, stained with blackberry juice, consulted, annotated, used to press and preserve a leaf of our autumnal world, you will have a good idea of where you are, and inspiration about where you are going. It is almost as good as getting there." "Transition has emerged as perhaps the only real model we have for addressing our current crisis – a new, if vital, format for reconsidering our future. The Transition Timeline strengthens a fragile form, something that might, without a trace of irony, be called one of the last, best hopes for all of us." "There is obviously no single, magic bullet solution to climate change. But if I was forced to choose one – our best hope of averting the crisis – it would definitely be Transition Towns." "Will the future be as rosy as The Transition Timeline suggests it might be? Will the people of Britain and the rest of the world begin immediately to make better decisions, taking the welfare of future generations into account? The answer to both questions is probably no. Will serious repercussions of decisions already taken (regarding fossil fuel consumption and the structuring of our economy to depend on perpetual growth for its viability) come to bite us hard before we even have a chance to implement some of the excellent recommendations contained in this book? The answer to that one is certainly yes - we are already seeing dire consequences of past economic and energy decisions. Nevertheless, without a vision of what can be, there is no alternative to a future completely constrained by the past. The ideal future set forth herein is not a useless pipe-dream. There is not a single outcome described in this book that could not realistically be achieved IF we all do things beginning now that are entirely within our ability to do. So here it is: the map and timeline of how to save our world and ourselves. Whether we WILL take up these suggestions as scheduled is a question for the cynics and dreamers to debate. For us realists, the only relevant questions are, Where do we start?, and, Will you join us? " "The next 100 months will be a very special time for humanity. On numerous fronts, the consequences of the past 150 years of industrialisation are all simultaneously coming home to roost. Even senior experts, scientists, NGOs and political leaders fail to appreciate that the most recent evidence reveals a situation more urgent than had been expected, even by those who have been following it closely for decades. The Transition Timeline provides an invaluable set of innovative approaches, new narratives and creative thinking tools that will prove vital in enabling us to shape a new kind of society and a new kind of economy; stable in the long term, locally resilient, but still active in a global context, rich in quality jobs, a strong sense of purpose and reliant on indigenous, in-exhaustible energy. It should be read by everyone, immediately!" 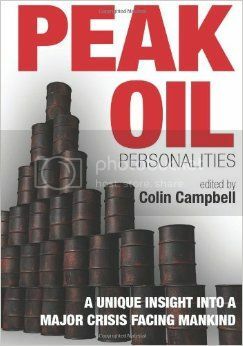 "Peak oil and climate change are evidently intimately related issues deserving the most serious consideration. The Transition Timeline is brilliantly written and well illustrated, explaining these critical issues in lucid and readily comprehensible terms. In short, it is essential reading for everyone from the man-in-the-street to the Cabinet Minister." 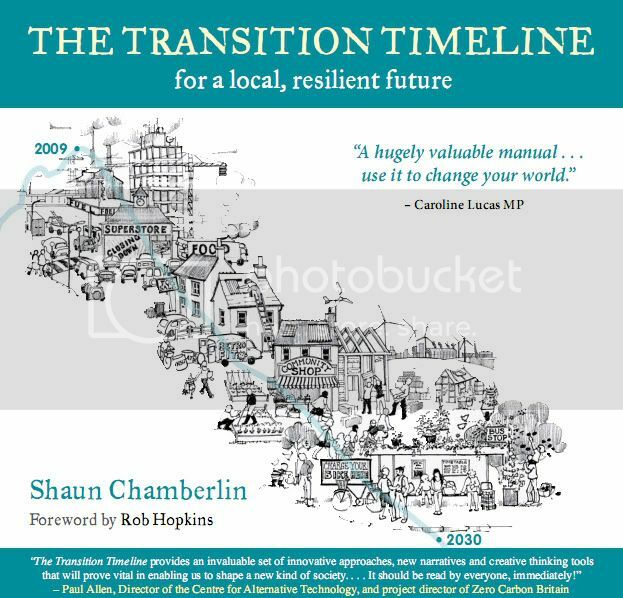 "The Transition Timeline builds on the success of the Transition movement in galvanising community capacity and resilience to respond to climate change and peak oil. Using the ‘backcasting’ technique documented in Rob Hopkins&apos; very successful Transition Handbook, Shaun Chamberlin paints the picture of how we got to a better world by 2027. 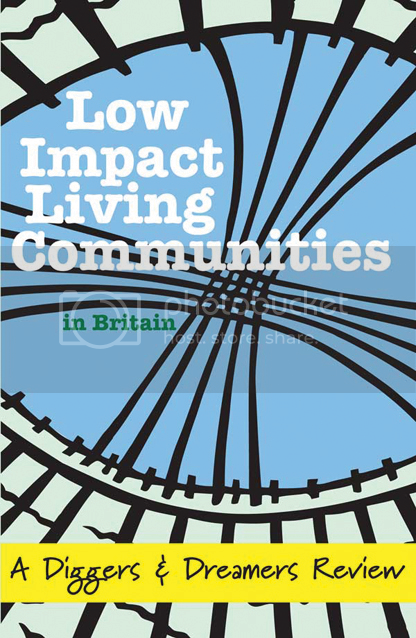 Chapters dealing with the basics from food and water through to health and medicine map how Britain made this transition using positive, bottom up community and cultural adaptation combined with innovative public policies and available and appropriate technologies. While definitely focused on empowering the community rather than the policy makers, this book is much more than a folksy agenda for comfort in the crisis. It is a serious plan to reconstruct society in the light of ecological and energetic realities, informed by the best evidence about the vortex of forces influencing the global crisis. Chamberlin runs along a knife edge between the harsh realities facing the whole of humanity on the one hand, and hope and pragmatic vision on the other, outlining a pragmatic plan for a society-wide adaptation to the energy descent future. Let&apos;s see if we can run along that knife edge; we have nothing to lose." "Highly readable and well researched - this book is a hugely valuable contribution to Transition thinking. With grace and wit Shaun Chamberlin ably scopes out the combined dangers of peak oil and climate change and shows us what we can do to avoid their worst impacts. Read it and implement its wisdom if you want to help create a liveable future." "Humanity is facing a once in a species crisis. We are approaching 7 billion people and appropriating an increasing percentage of the planet&apos;s net primary productivity, posing myriad and complex problems to our future and that of the planet&apos;s ecosystems. Of all the biophysical limits to continuing our current trajectory, energy surplus per capita looms large. And, as cheap, high quality per capita energy availability declines, our current cultural paradigm of competing for conspicuous consumption must end. In this refreshingly real and hopeful book, Shaun Chamberlin lays out the many aspects of the limits to our growth, and highlights the fact that cultural change is likely our only successful path forward. Throughout, we are offered vision and hope that mobilising locally and nationally towards civic change does not represent a sacrifice of our health or happiness – indeed, Chamberlin points out that it would be a sacrifice to continue on our Business as Usual path. We undoubtedly face serious biological and biophysical constraints that our forebears did not. The Transition Timeline gives us a guide on how to best use science and culture in adapting to our new situation." Select your location & hit "Buy Now"
We urgently need to have a system in place to mitigate the economic and social consequences of peak oil. 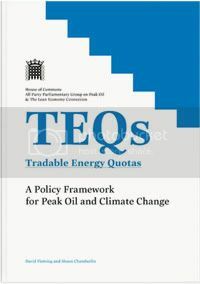 I believe TEQs provide the fairest and most productive way to deal with the oil crisis and to simultaneously guarantee reductions in fossil fuel use to meet climate change targets. Whilst I am less convinced than some people about the imminence of peak oil I firmly believe, regardless of this, that tradable personal carbon allowances could make a big contribution to reducing energy consumption and therefore carbon emissions in Britain. 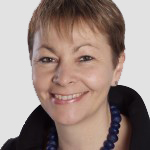 I also believe that it is extremely urgent for Britain, and all developed countries, to move away from a fossil fuel-based economy as quickly as possible. Rationing is the fairest and most effective way of meeting Britain's legally binding targets for cutting greenhouse gas emissions. A concept of brilliant simplicity, offering a predictable and orderly reduction of greenhouse gas emissions year-on-year, with flexibility in an enclosed system, independent of taxation and providing complete transparency between goals and delivery. What I like about TEQs is the fairness of it. When the energy crunch hits us, it will behove government and industry to ensure equitable access to available energy, within a national budget. TEQs is a route to synergisitic efforts of the kind we will need if we are to mobilise the infrastructure of a zero-carbon future fast, under pressure. It would increase the chances of working our way through the grim times to renaissance-through-resilience. This eloquently presented proposal merits very serious consideration by all political parties. There remains an undeniable gap between the current policy mix and what we actually need to do urgently both to reduce emissions of greenhouse gases and to avoid the potentially devastating consequences of declining fossil fuels. TEQs offer significant policy advantages in addressing both those pressing imperatives. A watertight proposal that deserves to be spread as widely as possible, as it is an idea of its time. Take the time to read and understand this mechanism thoroughly. New situations require fresh thinking. Schumacher College, based near Totnes in Devon, England, opened its doors in the early 1990s and is now an internationally-renowned centre for transformative learning on all aspects of sustainable living. James Lovelock led the first course on Gaia theory. A host of visionary thinkers has followed, including mathematician and biologist Brian Goodwin, who died in 2009. This book is a realisation of his vision for Schumacher College to publish a collection of essays on sustainable solutions to the current global crisis. Themes include the importance of education, science, Transition thinking, economics, energy sources, business and design, in the context of philosophy, spirituality and mythology. This book is essential reading for anyone concerned about the future of our society and the environment. 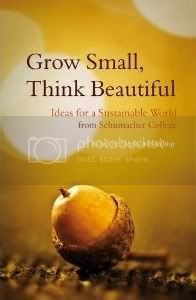 "Grow Small, Think Beautiful is a poignant read which leaves one with a lingering sense of hope ... we are gently guided to share [the authors'] sense of awe at the omnipresent natural harmony evident at the heart of the world's eco-systems ... The cumulative effect of this collection of heartfelt essays is that the reader is motivated actively to involve himself as part of the solution, not only mentally and physically but ultimately spiritually." ~ The Temenos Academy Review. "All [the authors] are considered among the most innovative thinkers in their respective fields of enquiry ... [and] surprised me, in their ability to fit such profound thoughts in so few pages, and to inspire me and spark off new and fresh ideas. I loved reading this book, and it is one that I will certainly be returning to further ... This book is absolutely jam packed with ideas and solutions, covering education, the environment, systems thinking and complexity, design, visioning and story-telling, transition and Transition Towns, agriculture, economics, business organisation, and deep ecology." 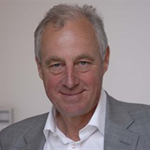 ~ Simon Robinson, editor of the Transition Consciousness blog, and co-author of Holonomics: Business Where People and Planet Matter. Shortlisted for the Alliance of Radical Booksellers' Bread and Roses Award 2013. The age of austerity has brought a new generation of protesters on to the streets across the world. As the economic crisis meets the environmental crisis, millions fear what the future will bring but also dare to dream of a different society. What We Are Fighting For tries to answer the question that the mainstream media loves to ask the protesters. 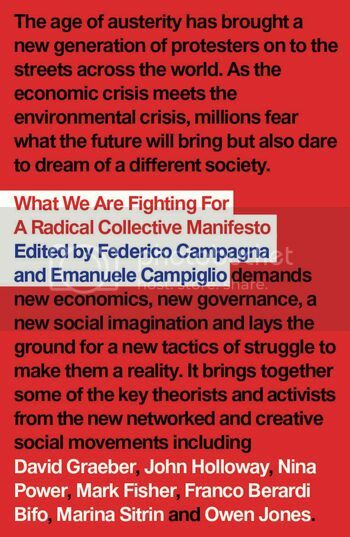 The first radical, collective manifesto of the new decade, it brings together some of the key theorists and activists from the new networked and creative social movements. Chapters outline the alternative vision that animates the new global movement – from ‘new economics’ and ‘new governance’ to ‘new public’ and ‘new social imagination’. The book concludes by exploring ‘new tactics of struggle’. "This collection provides a rallying point for all those who resist the dogmas of contemporary politics and seek a fresh set of alternatives. What We Are Fighting For is a manifesto full of urgent, articulate responses to the current situation." ~ Simon Critchley, Hans Jonas Professor of Philosophy at the New School, New York, and author of The Faith of the Faithless. "Here are the first flowers of spring: the beginning of an epochal dialogue about the human future. Inspired by the Occupy movements across the world, What We Are Fighting For should inspire all of us to join the conversation." Human impact on the Earth has to be reduced but how far are you prepared to go? Could you live a really low impact lifestyle? Would it be easier if you were within some type of low impact living community? In this book you can read about the ground-breaking inventiveness and ingenuity of such groups. There are lessons here for everybody who wants to carry on enjoying life on this lovely planet. Recognizing that Lean Logic’s sheer size and unusual structure can be daunting, Fleming’s long-time collaborator Shaun Chamberlin has selected and edited one of these potential narratives to create Surviving the Future. The content, rare insights, and uniquely enjoyably writing style remain Fleming’s, but are presented here at a more accessible paperback-length and in conventional read-it-front-to-back format. 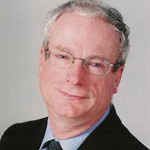 "I would unreservedly go so far as to say that David Fleming was one of the most original, brilliant, urgently-needed, under-rated, and ahead-of-his-time thinkers of the last 50 years. History will come to place him alongside Schumacher, Berry, Seymour, Cobbett, and those other brilliant souls who could not just imagine a more resilient world but who could paint a picture of it in such vivid colours. Step into the world of David Fleming; you'll be so glad you did." "Each time I encountered David Fleming, he left behind something whose value I was a little too slow to recognise. 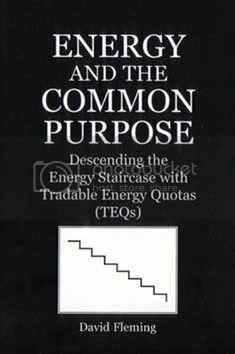 A sketch for Tradable Energy Quotas. A critique of the nuclear fuel cycle. And clearest in my memory: a slim working paper entitled 'The Lean Economy'. It took me nearly a decade to respond properly to its call. In Surviving the Future, Fleming has left behind his greatest gift: a remarkable clarity of vision — a way of seeing the world not just for what it is, but for what it might be. Hopefully, this time I'm ready for it." "David Fleming was an iconoclast in a time when orthodox thinking reasserted suffocating control. When many major environmental voices had, in effect, decided to 'go with the flow', accept the mainstream economy, and do their best to make it greener, David Fleming went the other way. His analysis told him that nothing short of a paradigm shift could ensure our collective survival, and he said so, loudly, without fear of being marginalised. His courage in saying unpopular things is clear in these writings, and we should all thank him. Without the uncompromising clarity of David's writing, we would delude ourselves as to the scale and the immediacy with which we must reshape the economy and our lifestyles. Thank goodness his analysis can now be shared more widely." 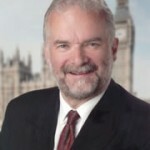 "David Fleming was an elder of the UK green movement and a key figure in the early Green Party. Drawing on the heritage of Schumacher's Small Is Beautiful, Fleming's beautifully written and nourishing vision of a post-growth economics grounded in human-scale culture and community — rather than big finance — is both inspiring and ever more topical." "David Fleming predicts environmental catastrophe but also proposes a solution that stems from the real motives of people and not from some comprehensive political agenda. He writes lucidly and eloquently of the moral and spiritual qualities on which we might draw in our 'descent' to a Lean Economy. His highly poetic description of these qualities is neither gloomy nor self-deceived but tranquil and inspiring. 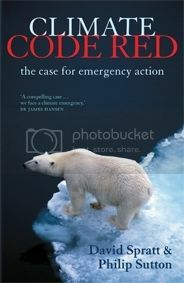 All environmental activists should read him and learn to think in his cultivated and nuanced way." "Why do some of the truly great books only emerge and exact their influence upon us after the death of their authors? Perhaps it takes a lifetime to accrue and refine the necessary wisdom. Or perhaps it simply takes the rest of us too long to catch up. Like Thoreau, Fleming's masterpiece brims not only with fresh insight into every nook and cranny of our culture and what it means to be human, but with such wit and humour that its challenging ideas and radical perspectives become a refreshing delight. 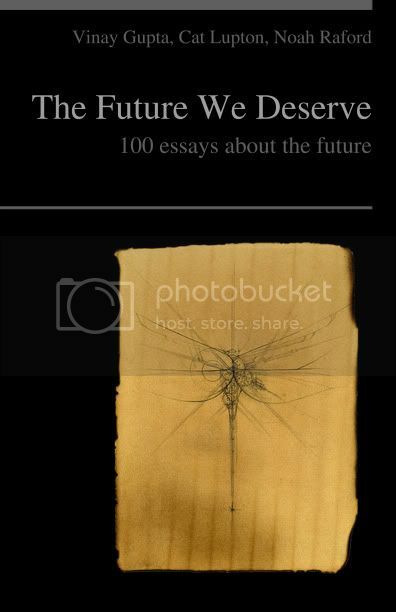 If we're to have a future worth surviving, this book demands to be read, re-read, and — ultimately — acted upon." 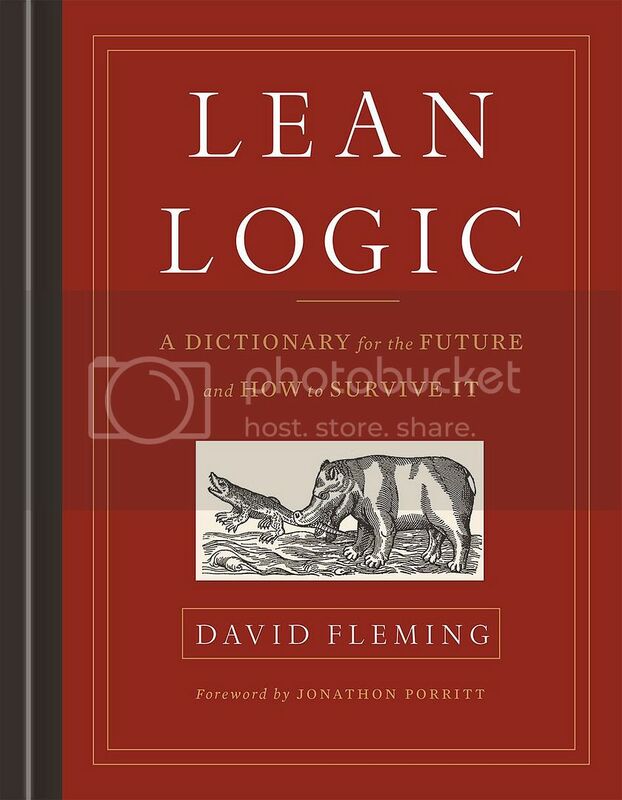 "Shaun Chamberlin has edited Fleming's Lean Logic to a string of gems that refract the burning issues of our times." "'The end is nigh' messages are a dime a dozen these days. Fleming's work doesn't shy away from that, but it's his vision of what could come next — and the potential richness, carnival, and culture of it — that I think is so rare and precious in these books. Less what we stand to lose and more what we've lost already and stand to regain if we do things right." "I can't say enough good things about this book. David Fleming's keen interdisciplinary mind was at home in economics, history, and anthropology, so when he imagines the world beyond fossil fuels, the result is not just a schematic diagram but narrative with bone, sinew, flesh, and blood. This is how real human beings could and hopefully will respond to climate change and resource depletion." "David Fleming has laid out a logical, persuasive, and very readable pathway to dealing with the most crucial catastrophe we face: the double bind of growth — if no growth the economy fails, if growth the economy fails. He illuminates the 'transition from the global city' to 'habitats on a human scale' and an economy 'organized around the rediscovery of community.' 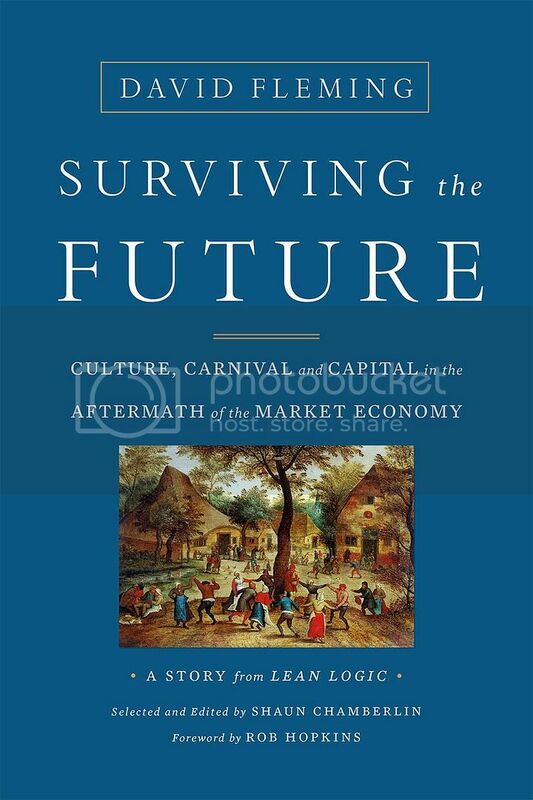 If there will be any survival following the coming collapse, it will be through following the wisdom provided here." 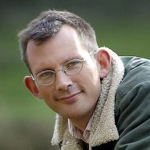 Shaun has contributed to a number of other books. 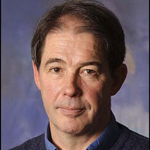 He was the editor of the second and third editions of Dr. David Fleming's seminal Energy and the Common Purpose (2005-7), leading to his editing the carbon rationing section of Climate Code Red (2008). 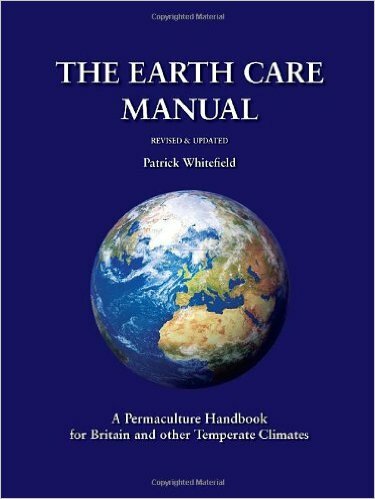 His obituary for Dr. Fleming was then included as one of the chapters of Dr. Colin Campbell's Peak Oil Personalities (2011), and he contributed energy/climate expertise to the second edition (2011) of Patrick Whitefield's The Earth Care Manual. 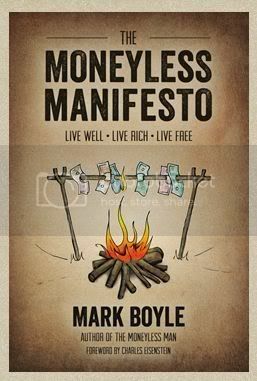 He edited Mark Boyle's The Moneyless Manifesto (2012) and wrote the foreword to The Future We Deserve (2012), as well as contributing one of the 100 short essays that make up the latter book. 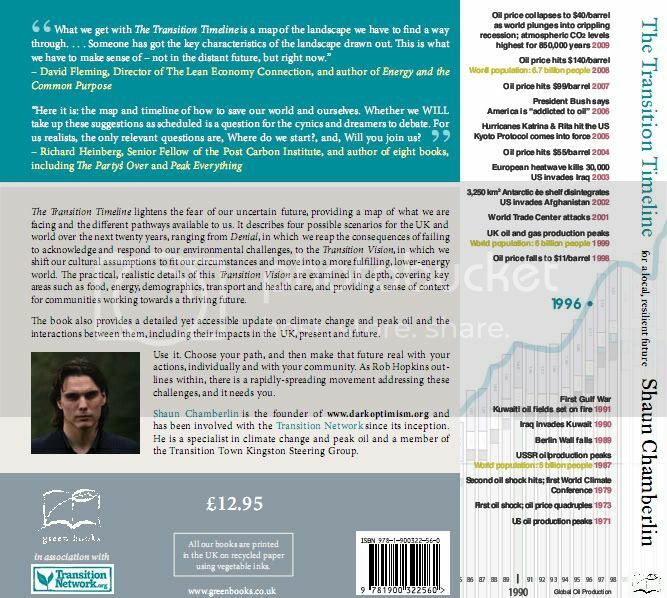 More recently he selected and edited extracts from Fleming's great work Lean Logic for the fourth and fifth Dark Mountain books (2013/2014), while editing the full manuscript ahead of its posthumous publication (2016).